Tracy Dopko provides valuable services to the equine industry as a Certified Senior Equine Appraiser, Equine Expert Witness, and licensed Private Investigator. She travels across the United States and Canada yearly conducting equine appraisals for her business Daventry Equine Appraisal Services. Similarly, Tracy appraises top equines including jumpers and dressage horses in Europe. In court proceedings, Tracy works as an appraiser, consultant, and has been qualified as an Equine Expert. As of 2018, she is celebrating her 20th year in the business with more than 4,000 hours of equine appraisals. Tracy offers Horse Authority readers a unique perspective monthly, on the first and third Tuesdays, as a result of her multiple professional designations in the equine industry. 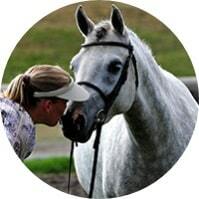 She is an “R” USEF Hunter judge and Equestrian Canada Senior Hunter judge and steward. Additionally, Tracy breeds, trains, and shows Welsh and Hunter Ponies. Her home base is in Alberta, Canada.